In 2016, i read quite a lot, although i didn’t write about those here like how i used to in past but i did read some interesting books. I am not sure if i should call myself an avid reader 🙂 or not but i have always enjoyed reading and losing myself into wilderness of books. I think books have greater role in my life to shape me whatever i am today or the way i think or to build my perspective towards things or people. For past few years, i am more drawn to non-fiction, specifically towards spiritual subject. 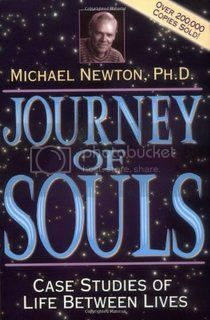 One of the significant read for me in 2016 was a book ‘Journey of Souls’ by Dr. Michael Newton. It was a collection of 29 case studies of life between lives. It was a book about after life in spiritual world and the way Dr. Newton presents this mysterious and complicated subject was interesting. Even if you are someone who do not believe in after life and existence of any sort of other dimension than where we are living, you may want to give it a try. Dr. Michael Newton, a hypnotherapist in private practice, has developed his own hypnosis technique to reach his subjects’ hidden memories of the past lives. The resulting narrative acts as a progressive travel log of the accounts of twenty-nine people who were placed in a state of super consciousness. During deep hypnotized state, these people describe their past lives memories in vivid detail. They describe how they were reincarnated and some of them find why they are the way they are. They find why they are suffering or what they supposed to be doing in life. While reading this book, we witness people finding their true purpose of existence and the understanding of why they have been put in their situation. Even if you are remotely interested in issues like reincarnation, death, after life and spiritual world, ghost etc, this book will amaze you. Dr Newton takes us to his subject’s super conscious journey where they find who they were before and why they have come to this life. When i was reading, there was one case specifically, which actually still gives me a chill, is of an arrogant CEO of a company who is not good with people, after numerous unsuccessful treatment sessions with psychiatrists and doctors finally decides to get help from Dr. Newton. During hypnosis session, we come to know that, this person, as a baby, was abandoned by his mother just outside of a church in Texas during one of the cold winter night. Later he was adopted by strictly disciplined couple where he couldn’t get that much of affection and left them. After working for years from manual laboring jobs to as a sales person, this man manages to get to the position of power but he is too afraid to connect with anyone. 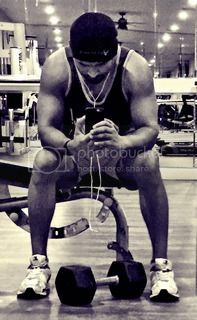 Entire life, he seeks medical help and all sorts of therapies to find solution but none work, when this man approaches author, Dr. Newton decides to find the root cause of his arrogance and unhappiness in life, when he was abandoned, he was too small to remember what had happened to him but his subconscious mind knew that he was abandoned by his loved one, which conscious mind wasn’t aware of. Dr. Newton takes him back to exact time when his mother put him on cold cement floor and he was able to feel touch of her warm tears dropping from her eyes again, this instant moment, he was able to forgive his mother. He found that, his mother loved him and she was extremely sad when she had to leave him. All his life, he had thought, he was an unwanted child, he was not loved but when he experienced love of his mother once again as a baby by going back to his childhood memory which is not accessible in conscious state, he felt enlightened and the heavy weight he was carrying all his life was lifted. Dr. Newton takes this man to his former life to find why he was abandoned in this life. In previous life during 1800 era, somewhere in Texas where he was in-charge of food and supplies. He was cruel leader and for some reason, he had punished his mother with death penalty for stealing supplies and giving to poor. This particular incident makes me think about what we call ‘Karma’. We have a saying in east, which goes like this ‘what goes around, comes around’, as a ruler, this man was too cruel to punish his mother and he had to learn, he had to realize, so he was born and left alone. Book is filled with such cases, where real people go back to their previous lives and give us detail and also what makes this authentic is Dr. Newton comes from science background and he has done his research before giving us conclusion. It is highly recommended book for anyone interested about living life, finding true purpose, souls and spiritual world. Trust me, this 278 pages book will change your perspective towards life itself and will inspire you to find your own true purpose.